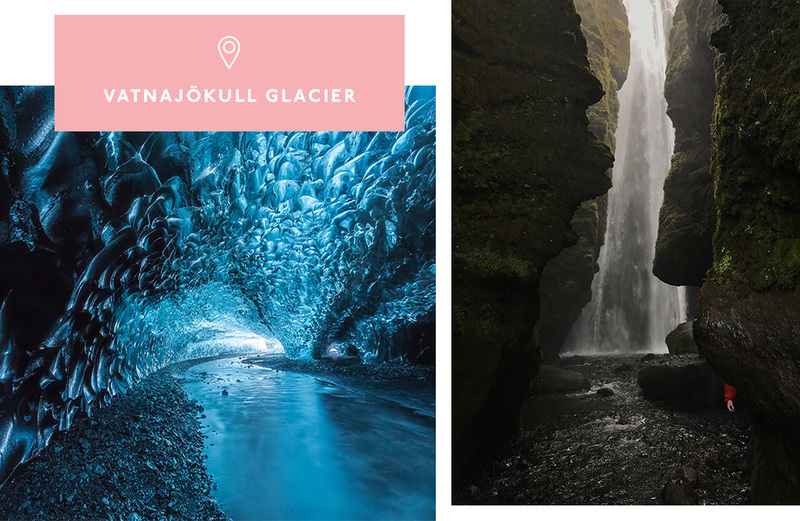 Iceland is one of those places you’ve seen on your ‘gram but have never actually ventured to. So let’s get one thing straight, you’ll want to put this stunning AF spot right at the top of your vacay bucketlist. All you really need to do is grab a 4WD and get going; you can drive around the entire island within 10 days—yes, we’re serious. Whether it’s finally checking out IRL their iconic long black sandy beaches, scaling enormous glaciers, dipping your toes into secret geothermal pools (you’re sold already, aren’t you? ), or hiking their National Parks full of geysers, waterfalls and a myriad of other geological wonders, you’ll want to check Iceland out for yourself STAT. Hitting the road means you’re guaranteed to avoid the tourist traps (a guaranteed win) and score yourself some of the best vantage points to experience the Northern Lights. A hot tip from us to you—give some thought to when you travel, Iceland is super weather dependent so check local guides before you book. We’ve rounded up some of the best spots, complete with minimal risk, because it’s an adventure holiday after all—amirite? 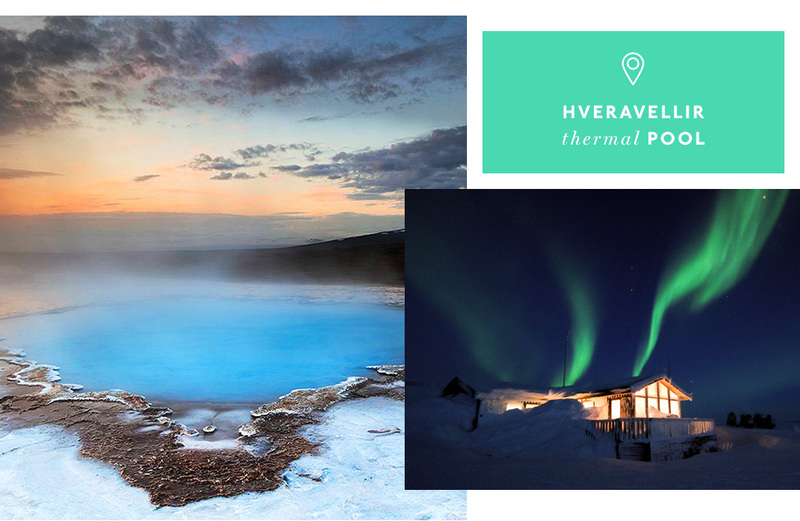 Prepare your feed for some seriously stunning natural hot springs located right in the Mars-like desert centre of Iceland. The rocky hills around the pools stretch on towards the horizon, making you feel as if you’re in some other world, far away from your standard Netflix and chill Sunday. The springs are sandwiched between two mountains ranges and handful of glaciers, making it one epic drive (luckily you’re all about that off road life). You’re pretty much guaranteed to have this one exclusively for you and your crew #winning. Keep your eyes peels for a long, winding wooden pathway through bubbling pools. The water in these bad boys is a cheeky 100 degrees Celsius (ICYMI that is hot, team), so the only safe spot to swim is at the very beginning of the pathway, where added cold water from surrounding streams makes it perfect for a dip. Sitting pretty in Vatnajökull National Park towards the North of Iceland, you’ll find Askja. Picture a caldera (that’s a large volcanic crater in case you were wondering) that’s a cheeky 50 square kilometres in size and filled with milky blue warm water. Unlike other natural hot pools, this one is enormous and (the best part) pretty much tourist-free. We recommend a 30-minute walk around the slopes of the crater so you can check out the massive explosion centre, then treating yourself to a dip, obvs. Hot tip: this remote region of Iceland is home to several volcanoes and can be very difficult to access. You’ll need to navigate across two small river crossings (did someone say adventure?) in a 4WD. But for those that dare, you’ll get to check out the lunarlike landscapes where US astronauts trained before they went to the moon back in 1969. Yes, we know, just think of your ‘gram. Famous for its long hiking trails through mountains, this Iceland spot is also ideal for your next off-road holiday. Best tackled during summer, get ready to drive through sprawling lava fields, up around some pretty spectacular multi-coloured mountain ranges (we’re talking shades of pink, red, golden yellow and green), beneath the Hekla volcano (like we said, it’s an adventure) and across long grassy fields where you’re likely to spot some roaming wild Icelandic horses—because is it even a road trip until someone yells “horses!”? Didn’t think so. 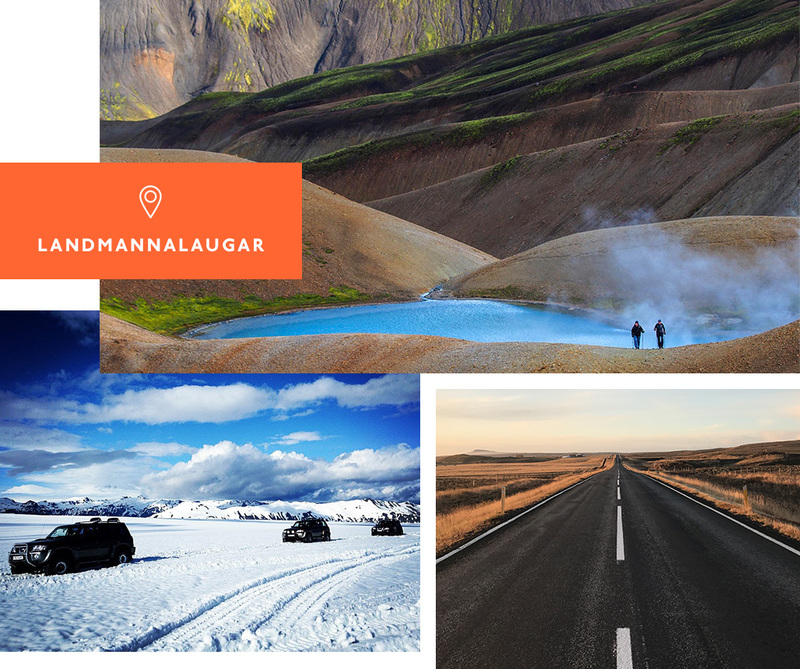 Landmannalaugar loosely translates to ‘The People’s Pools’ so (you guessed it) this National Park is also known for its geothermal baths. Pack your bathers so you’re always ready for your next dip. You might even find a warm flowing river, like the famous one in Hveragardurinn, if you’re lucky. ICYMI Iceland is also known for its famous black beaches in the south, with the likes of Reynisfjall and Diamond Beach by the Jokulsarlon Lagoon, but there is plenty more coastline to be explored with your trusty 4WD. In the Western Fjords, those who dare take the long and winding Kjaransbraut Avenue for some pretty damn incredible beach views. Taking you along narrow roads on steep cliffs overlooking the sea, and continuing right down to the water’s edge where the waves almost crash up onto the road, do this drive at high tide. What’s guaranteed to up your next adventure holiday? Driving across an actual glacier! Head to Vatnajokull, Iceland’s largest glacier, and jump on a tour. The team from Glacier Jeeps run multiple tours through both snow and ice. Pack something warm and waterproof for maximum enjoyment. Driving in Iceland can be dangerous. High wind speeds can blow doors off their hinges (say whaaaaaaat?) and push cars across lanes, storms can turn small river crossings into gushing rapids within minutes and snow can consume entire roads. Here are 5 things to remember. Make sure the F road you plan to travel is open for traffic (and never drive off these roads, like, ever). The emergency number in Iceland is 112. You can call it in the highlands, even without a mobile connection. Most importantly, have the adventure of your life! See why we love Japanese whisky here.